Be sure to bookmark these blogs to get a daily dose of encouragement and practical ideas to enhance your homeschool, whether you're a mom of preschoolers or a seasoned veteran! Then you are in the right place." Pam's blog offers encouragement and practical tips for every homeschooler, and you will also find tons of tips and planning ideas for new and veteran homeschoolers throughout her website. Honest. Quirky. Real. Practical tips, candid reviews, and stereotype-smashing humor for homeschooling families - A great blog for homeschooling high schoolers. 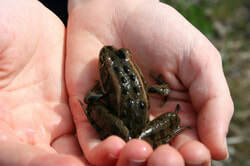 Handbook of Nature Study is a blog that will encourage you and your children get outside and study nature, with regular "outdoor hour challenges", plus nature study printables, ideas for lessons and much more! Read-Aloud Revival is the personal blog of Sarah Mackenzie, author of "Teaching From Rest", and host of "Read Aloud Revival", a great podcast. She shares lists of great books for kids, as well as ideas for making reading a priority in your home. If you are homeschooling a toddler, preschooler or kindergartener, you will definitely want to check out 1 + 1 + 1 = 1, a blog that is chock-full of free printables and lesson plans. Her "Tot School" has been used for many of our preschoolers! Confessions of a Homeschooler has free printables, curriculum, preschool ideas, and more! Erica is the author of the book Homeschooling 101 and she has all kinds of info for newbie homeschoolers and veterans alike! Hip Homeschool Moms has info on everything that the homeschool mom deals with - homeschooling, in the kitchen, living healthy, being frugal, homemaking, curriculum reviews. "Hip Homeschool Moms was created in hopes that homeschoolers from every background, and those simply curious about homeschooling would have a place to connect, engage, and grow. Our goal is to bring homeschoolers together for friendship and support while providing them with lots of helpful resources along the way!" AfterThoughts blog is a great blog for moms who lean toward the classical or Charlotte Mason method of education. The author says that she writes about good books, Charlotte Mason. educational philosophy and messy homeschooling days. 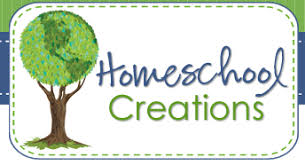 Homeschool Creations is a blog where you can find resources, free printables and encouragement for homeschool families. Homeschool Freebie of the Day shares free resources for your homeschool & family… A new one every day! Inspiration for living, learning and loving at home!